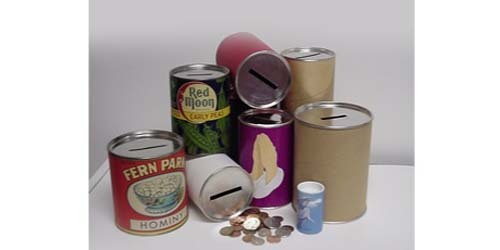 A reliable source for Cardboard Cans information and a resource for accessing leading Cardboard Cans and suppliers. Cardboard Cans are tube like made from cardboard as the name suggests. Cardboard Cans can be used in different industries for different purposes and are generally made by wrapping cardboard around a shaft which turns and rotated to make the can to the desired specifications. This method of making the cardboard can be referred to as spiral winding. Large portions of cardboard paper are cut into smaller, thinner pieces, coated in glue and then wound around a mandrel that matches the required shape. The stronger the tube is meant to be, the more layers of cardboard are added to the old cardboard while it is still being “formed” on the mandrel. Cardboard Cans Wire brushes are bristled surface treatment tools composed of a mounting area and a collection of many metal bristles. Wire brushes are used for a wide variety of surface treatment processes like abrasion and deburring and can be designed in many configurations. Cardboard Cans are excellent for carry and preserving these items as they can withstand the pressure and stress or regular wear and tear that comes with transporting these items. On a larger scale, these cardboard cans can be used for big projects like being used for concrete pillar forming. For large scale applications, adhesives and waterproof sealing are added to the inside of the can during the production process. When these cans are being made, only the inner dimensions are taken into consideration because those are the measurements used to determine if the can is big enough to fit the product. They can be open at one end and closed on the other with removable caps or lids. 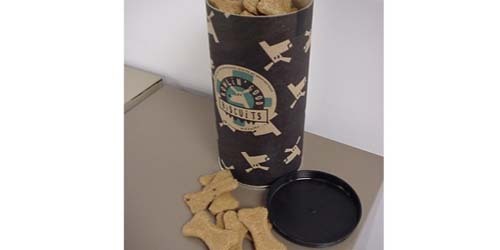 Cardboard Cans are easily customizable and can be printed on depending on the customer’s request and specifications. They are also very cost-effective in comparison to other storage options like plastic or metal because they are easy to cut, shape and mold. They save costs also because most of the materials used for production are made out of recycled or recyclable paper. Cardboard Cans however do need to be protected from moisture but they are very durable and environmentally friendly.